I hope that you’ve all had a wonderful week? It’s certainly been a busy one here with the start of the end of term and Christmas festivities. My word of the moment is ‘breathe’! Thank you for joining me once again for #Blogstravaganza or, if you’re new here – welcome! First things first this week is my featured post from last weekend. I have chosen this one from Any Way To Stay At Home. It’s a great read thank you again for sharing Briony, you can grab your badge below! Next a reminder that you can use the #Blogstravaganza hashtag on Instagram for a chance to be featured here on my end of month round up. 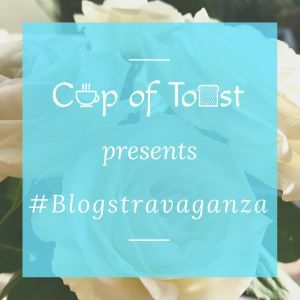 There is a #Blogstravaganza Pinterest board which you’re welcome to join too, and a Facebook group. Do give me a shout if you would like more information or to join the groups. Finally, in my experience you get out what you put in with linky parties. Please do read the rules carefully. If you have any trouble with anything then drop me an email or catch me on social media. I am always happy to help. So, on to this week’s #Blogstravaganza ! Bloggers! All posts are welcome. All you need to do is read the rules below, and link up. Thank you!